Having the right paint for your project will directly dictate whether or not you achieve the finish you are after. 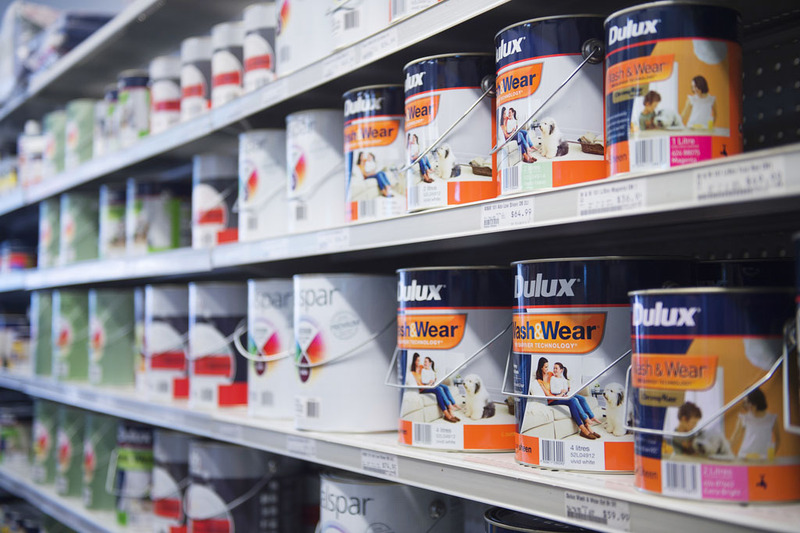 There are several factors to take into account when choosing paint supplies; quality, colours, texture, longevity and texture, to name a few. 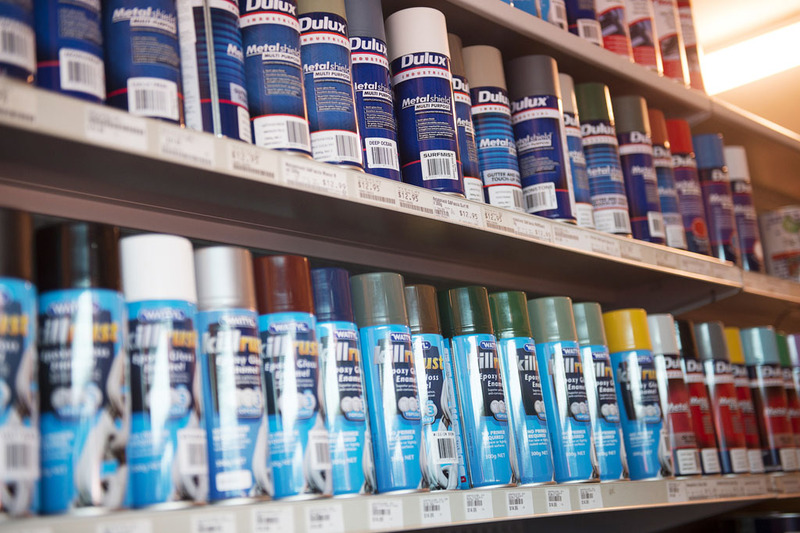 At Home Timber and Hardware, we are your home for variety and quality when it comes to paint supplies in Drysdale. 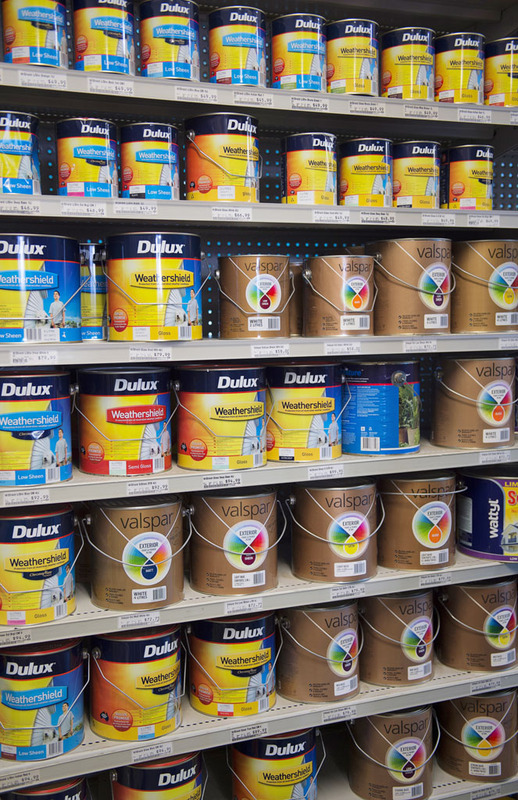 Like all our products and hardware stock across the store, our premium paint supplies are accompanied by a friendly and knowledgeable member of the Drysdale Home Timber and Hardware team. 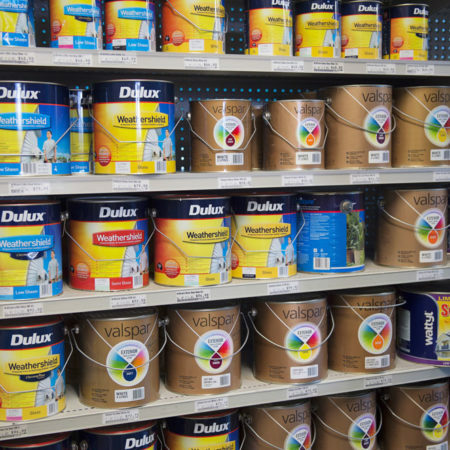 A home painting project is one of the more common DIY jobs, so we are here to help with tips and advice on your paint supplies and painting accessories when you’re redecorating the interior or exterior of your home. 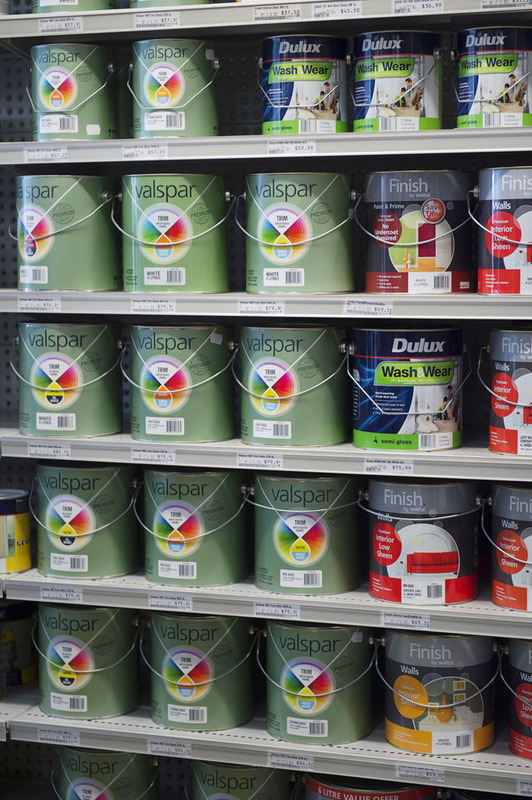 Among Home Timber and Hardware’s paint supplies in Drysdale is a range of interior paints. 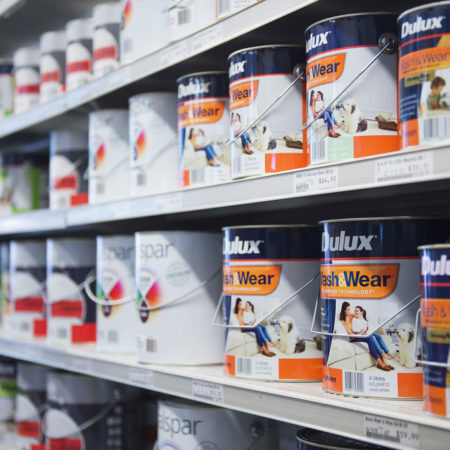 Designed to be more delicate than exterior paints due to proximity to humans, interior paints are designed to endure the scratching and scuffing that can occur on your interior walls. They are also low or zero VOC. 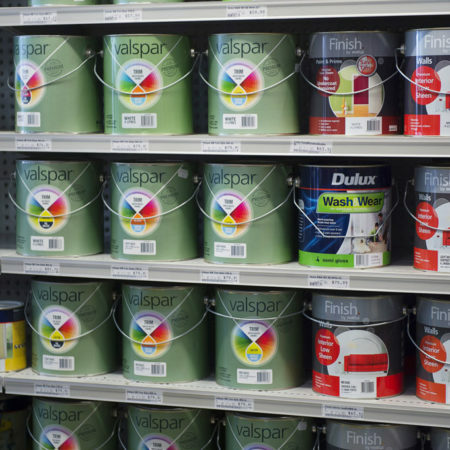 We also stock all your exterior paint supplies in Drysdale. 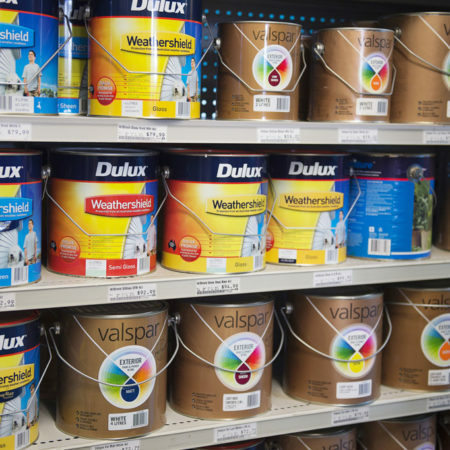 Exterior paint can be applied to render and other exterior surfaces and designed to withstand all the weather elements, such as sun, wind, rain and other moisture. 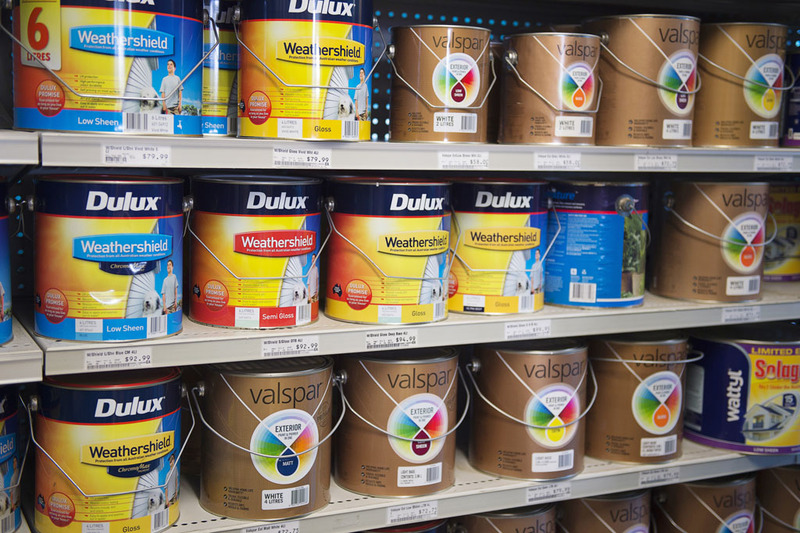 At Drysdale Home Timber and Hardware, we compliment our paint supplies, both interior and exterior, with a paint matching service. 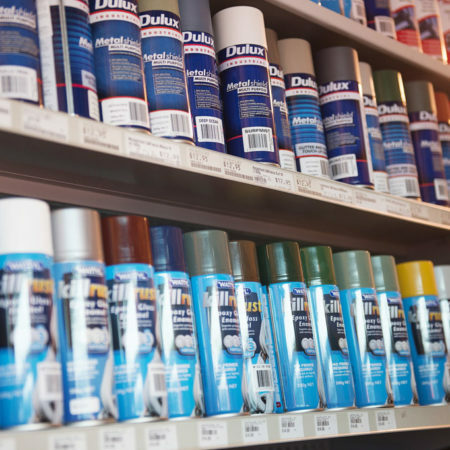 Stocking top-of-the-line brands such as Finish by Wattyl and Selleys, we are your one-stop shop for Drysdale paint supplies, whether it’s a home DIY project, or you are a busy tradie looking for the best products and services.